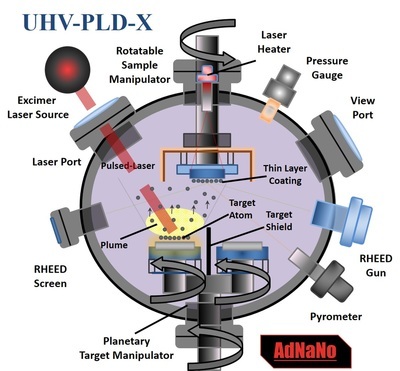 There are numerous UHV Deposition Systems and Technologies that are available to help us in our thin layer deposition researches. 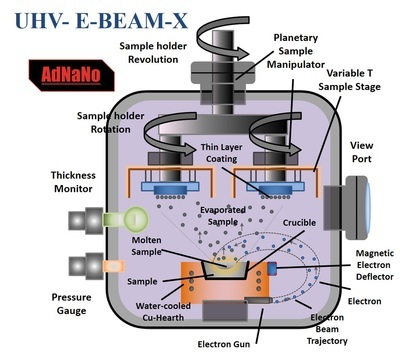 Due to AdNaNoTek's wide and extensive knowledge and experience in UHV Deposition Technologies, AdNaNoTek is capable of building state-of-the-art and reliable UHV/HV Deposition Systems like, Electron Beam Deposition (E-Beam), Magnetron Sputtering Deposition (MSD), Ion Beam Sputter Deposition (IBSD), Molecular Beam Epitaxy (MBE), Pulsed Laser Deposition (PLD or Laser MBE), and Atomic Layer Deposition (ALD). 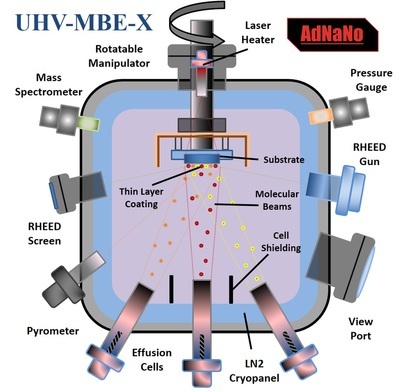 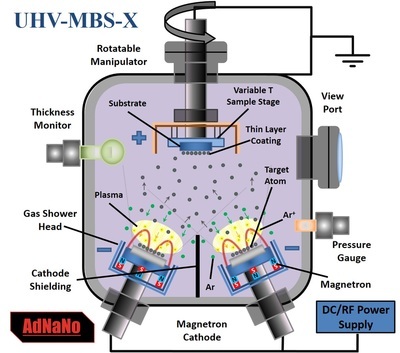 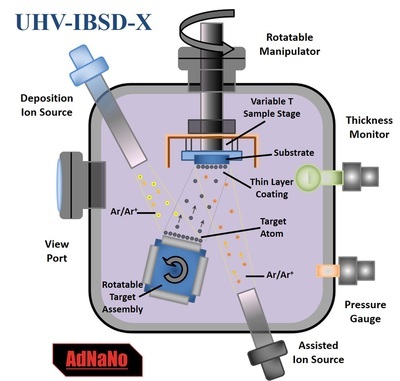 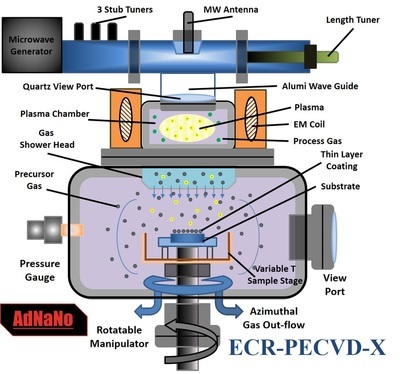 To provide us with better understanding on how these different UHV Deposition Systems work, AdNaNoTek has provided a comprehensive description of each UHV Deposition Systems.